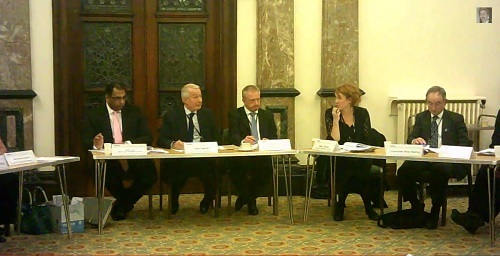 Wirral Council plan to spend £22,500 on a Birkenhead community newspaper. Will it fall foul of Pickles’ publicity law? Buried among the appendices published ahead of the Birkenhead Constituency Committee on Thursday are two interesting reports. The first report is the result of a Surveymonkey survey sent out to all residents that Wirral Council has an email address for in the “CH41, CH42 or CH42 postcode” areas. It seems however this is just a typo and residents in CH43 (which covers Bidston & St. James, Claughton, Oxton and Prenton) were also included as I received an email about the survey with the subject “Would you like to receive a community news update?” on 27th February. Most people responding to the survey stated that what they liked most about the local free newspapers was local news, however question three revealed that around half responding to that question said that they don’t read the local free newspaper as it isn’t delivered to them any more. This answers concurs with statistics in the other report that states that out of the 39,823 households in Birkenhead, 24,962 receive the Wirral News (62.7%) and 22,091 the Wirral Globe (55.5%). The survey continues with asking what people want they would want included in a “Birkenhead Constituency Committee news update” and the top answer was “unbiased, relevant local news” closely followed by finding out about local services, events and activities. Interestingly there were also responses about why people didn’t currently read the newspapers from surveys in public locations where people gave responses such as “Council matters only appear if news editors think that they are controversial” and “fed up of hearing about bad people doing bad things and getting away with it”. When asked about what information they thought should be included in a Birkenhead Constituency Community Newspaper there were a range of responses such as “find out about positive local news and important council information concerning regeneration and development”, “main council committee decisions – with commentary if necessary”, “planning applications”, “proposed road & transport information” but interestingly and this one seems to be a reference to Labour Rose/Lib Dem Focus “but not of councillors’ photographs at places where council work has been done at their behest”. Not unsurprisingly not one of the questions asked residents if they thought that spending £22,500 of taxpayer’s money for three editions was a good idea. What is proposed is a pilot of three editions over six months (each edition being bi-monthly) of an eight page publication (whether it would be colour or black and white is not mentioned). It’s stated that “It will be non political and inform people of news they are interested in.” Quite how it will manage to write anything about Wirral Council that people are interested in (which means the more controversial political news), yet remain “non political” remains to be seen. The long term aim is to have advertising from “public sector partners”, grants and “appropriate advertising” cover its costs for future editions. It will be edited by Lairdside Community Together, who will be recruiting an apprentice to work on it through Wirral Metropolitan College. Interestingly it won’t be delivered by paid deliverers but by volunteers with ward councillors suggesting an organisation in their ward (sports clubs and scout groups are mentioned in the report). These organisations would then receive “an incentive”. However the future is not looking particularly rosy for such Council run publications. Rt Hon Eric Pickles MP is not as keen on them as the Birkenhead Constituency Committee. In approximately a week (30th March 2014) s.39 of the Local Audit and Accountability Act 2014 on the code of practice on local authority publicity comes into force. This section gives Eric Pickles the legal power to tell Councils off who aren’t complying with the “Code of practice on local authority publicity” and force them to comply. This section also allows the Rt Hon Eric Pickles MP to create a new law making it a legal duty for all local Councils to comply with the Code of Practice on Local Authority Publicity. So what is the Code of Practice on Local Authority Publicity (which also comes with an explanatory memorandum and how could the proposed Birkenhead Constituency Community Newspaper fall foul of it? Section 4 outlines some principles applying to “publicity by local authorities”. These are that it should be cost effective, objective, even-handed, appropriate and “be issued with care during periods of heightened sensitivity”. I think that last bit refers to the period in the lead up to elections. As it states in the explanatory memorandum “Council newspapers, issued frequently and designed to resemble a local newspaper can mislead members of the public reading them that they are local newspapers covering council events and give communities a biased view of the activities of the council.” There’s also the concern that such publications (as this one is expected to be funded after the first three issues through advertising) will take advertising away from local newspapers and make them less financially viable. So I’m starting a poll to see what readers think about the community newspaper proposal ahead of the Birkenhead Constituency Committee on Thursday which will consider it. « What are the reasons why Wirral Council plan to consult on closing Lyndale School? There’s also the concern that such publications (as this one is expected to be funded after the first three issues through advertising) will take advertising away from local newspapers and make them less financially viable. Well the polls are in and eleven people have voted that they don’t think Wirral Council should spend £22,500 on it. Looking at the website for the edge, it seems that local government (which I presume means Wirral Council) gets to write editorials for it. However, I will make a point about accepting advertising from those who you write about. In other parts of the UK newspapers have written critical articles about local councils, for the local council to threaten to switch their advertising (public notices etc) from that publication to a rival publication instead. Often the income newspapers get from publishing such notices can be quite substantial amounts when you consider all the public bodies in an area, public consultations and the various legal requirements to publicise things in a notice in a newspaper. In fact I seem to remember at least one lawsuit in the past about a council trying to censor a newspaper by threatening to withdraw advertising. If a publication is funded by say the local council, articles in it about that council will hardly be independent will they? People want to know the news about what’s happening in their local Council, but they want such news written professionally and not just be full of pieces saying how wonderful aforementioned Council is. An apprentice (and I have nothing against apprenticeships) is so junior on the pecking order that they’re likely to just write what they’re told to by whoever is teaching them to write, even if Lairdside Community Together are doing the editing. I would welcome more media coverage of Wirral Council and of community events in Birkenhead. However Wirral Council has a press office that it could use to ensure such coverage without having its own publication. If politicians feel there are gaps in the coverage of the Wirral Globe and Wirral News in Birkenhead they can produce and deliver their own political leaflets paid for by the political parties themselves. Will this scurrilous rag report on Lyndale? I can see a female incarnation of Goebels behind this enterprise! Why does this blog keep involving Godwin’s law?